Rain and poor trail conditions have led to the cancellation of this year’s Willow 300 Sled Dog Race, organizers announced Tuesday. Thirty-four mushers had been signed up to start the 300-mile race in Willow on Thursday morning, said Christine Stitt, the race’s director and organizer. 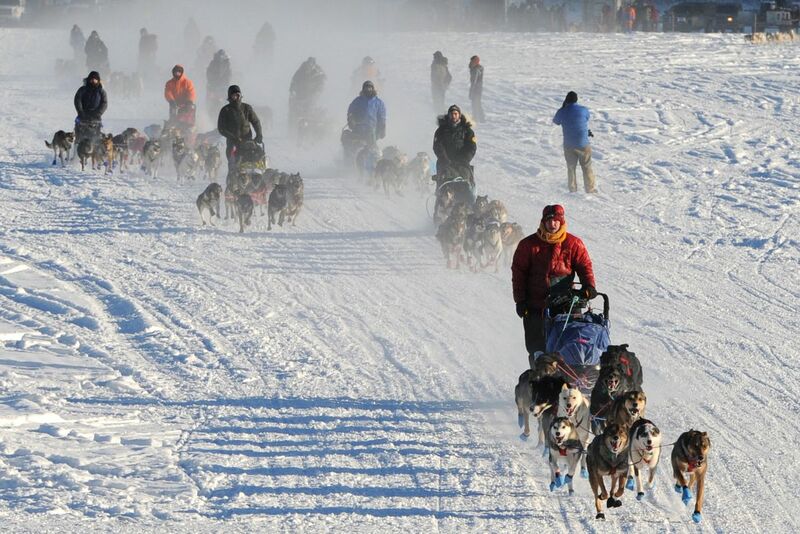 The race is a qualifier for the 1,000-mile Iditarod Trail Sled Dog Race and the Yukon Quest. A stretch of above-freezing temperatures had led to open water on sections of the trail. Crews repaired those areas, but then the rain came Monday night. It continued raining Tuesday, Stitt said. “It’s destroyed the work that was done to correct the problem areas,” she said. The Willow 300 isn’t the first sled dog race that has fallen victim to warm weather this winter. This year’s Knik 200 Joe Redington Sr. Memorial Sled Dog Race was recently canceled. Organizers also cut a 77-mile run from the upcoming 1,000-mile Yukon Quest because there wasn’t enough snow. The Yukon Quest 300 will be 100 miles shorter because of poor conditions.